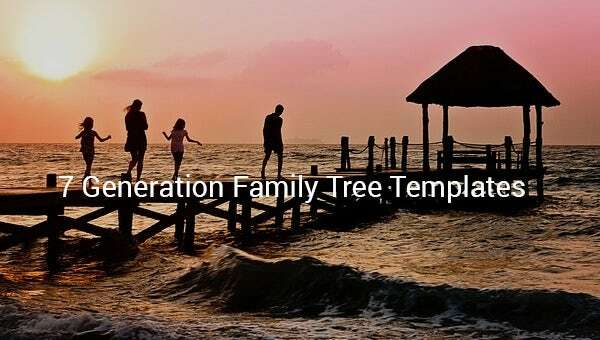 7 Generation Family Tree Template – 12+ Free Sample, Example, Format Download! 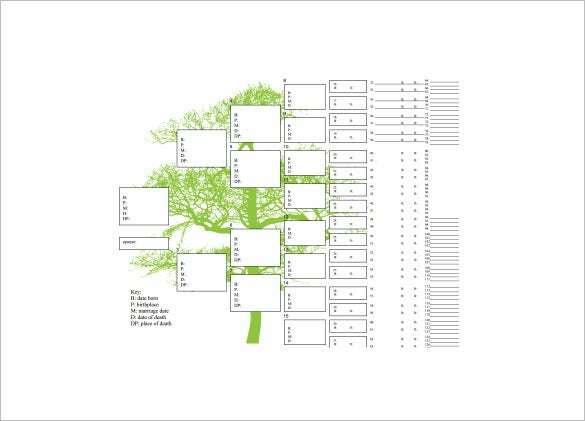 A 7 generation family tree is exclusive for large numbers of members in the family. 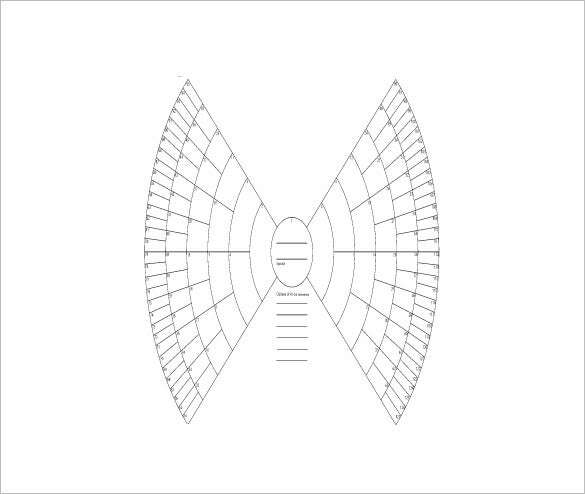 This consists of the grandparents from the very beginning until the grandparents for both your parents and the present children whether deceased or still alive. It is a good recording of information per person in the family and a way to remember our descendants. 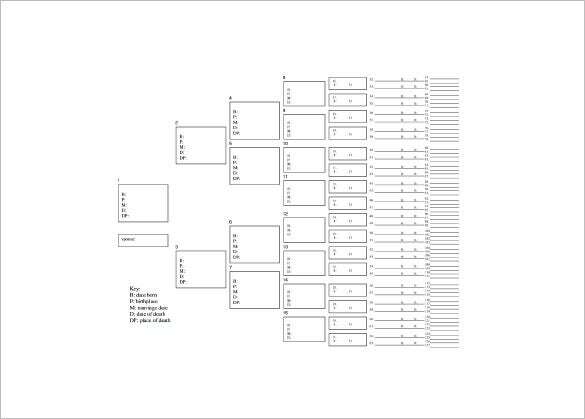 This kind of generation is found in Large Family Tree Templates for much easier creation. This is best exemplified with the aid of Microsoft Word. 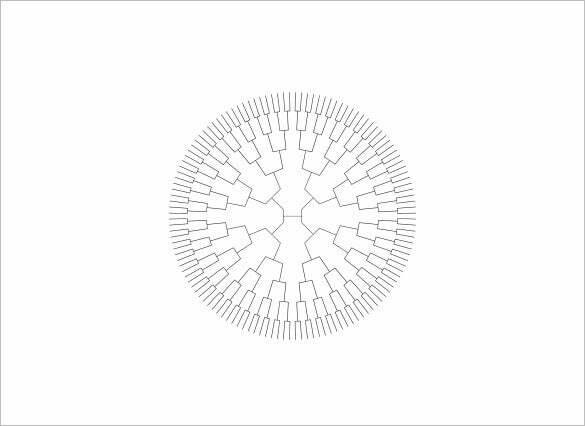 This is an extended seven generation sample family tree where you not only include your parents, grandparents or great grandparents but also your cousins, but also your first, second and third cousins. 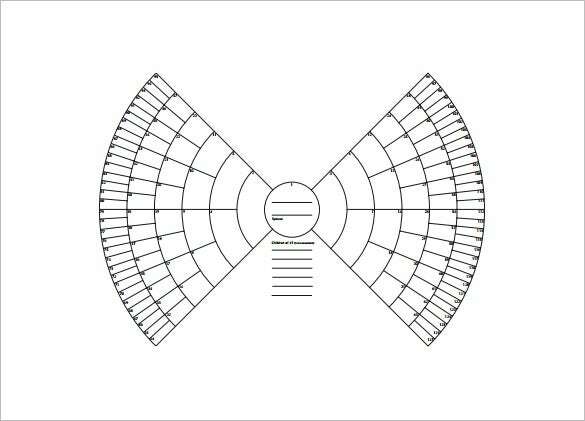 This is an elaborate 7 generation family tree chart where you have the child and his both parents on 2 sides- followed y his grandparents, great great grandparents till 4th generation great great grandparents. 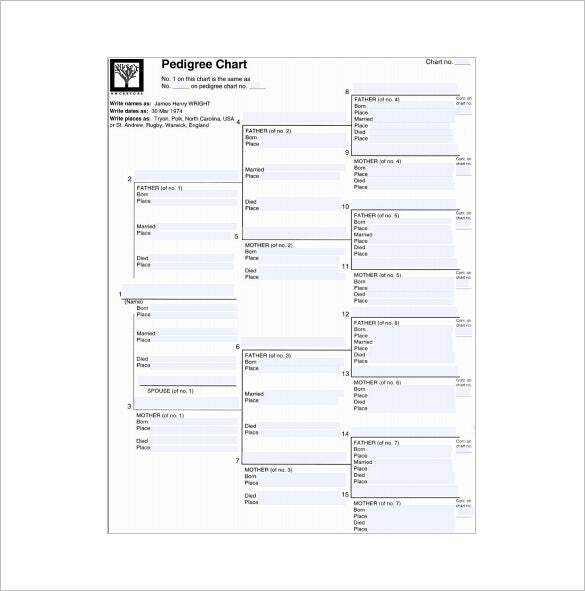 This 7 generation pedigree family tree stretches from the child to his parents to 15 family members. The chart includes name of the members as well as their places of birth and death (for senior members). 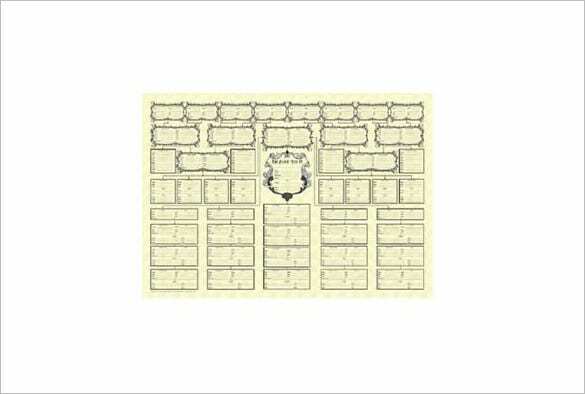 If you have to create a 7 generation family tree, this large blank family tree would be really handy. It starts with the child, his parents, grandparents till his 4th generation great grandparents. 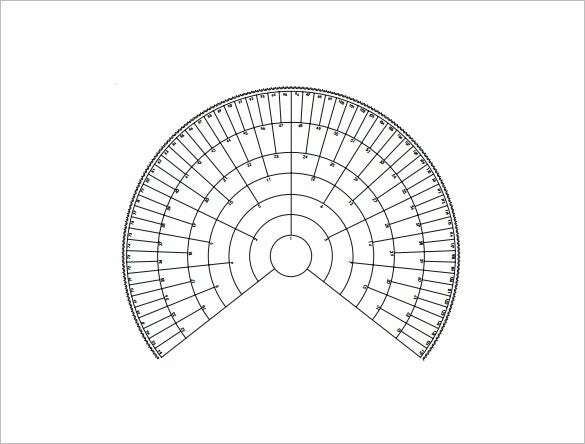 If you are bored of plain tabular family tree charts and looking for something different with your family free, this circular radial family tree chart would be good for you. 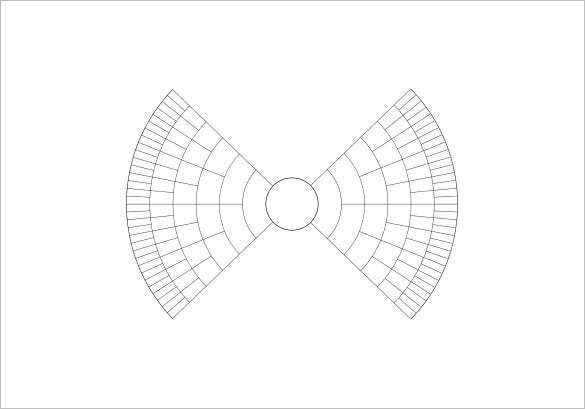 It spans across 7 generations. 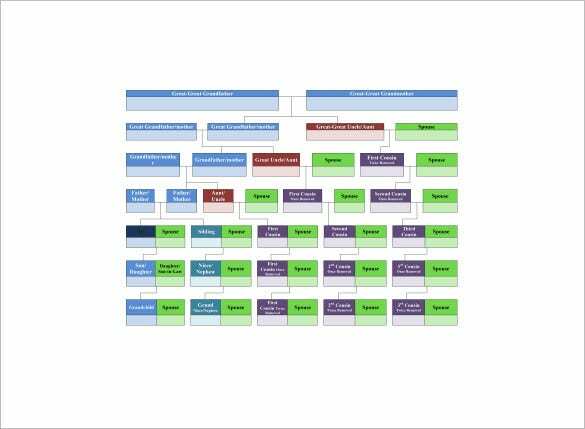 This is a standard seven generation family tree chart where you have the person, his spouse, his parents, his grandparents on both sides, great grandparents on 4 sides and the chart includes up till 4th generation great grandparents. There are samples which can be used for customize since these are also free to download. 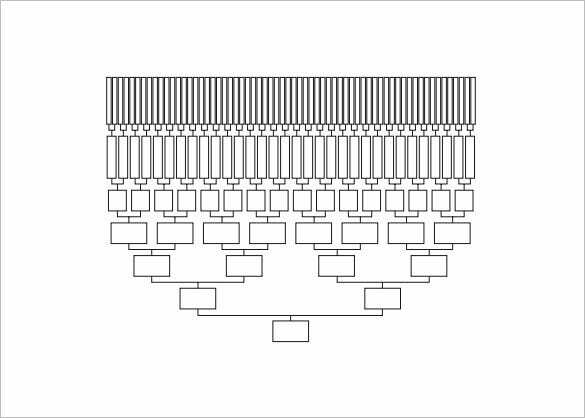 It is up to the user whether to customize the Samples Family Tree Templates by filling in the details or make a new one similar to the featured samples. This template is convenient to use for it is both time and cost saving. 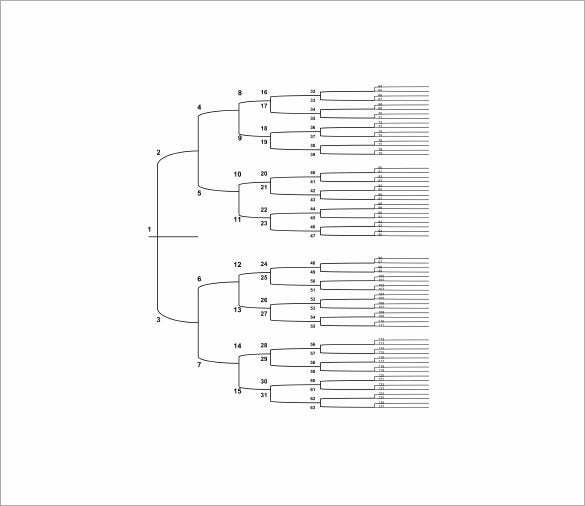 8+ Four Generation Family Tree Template – Free Word, Excel, PDF Format Download! Post Interview Thank You Email – 5+ Free Sample, Example, Format Download! Interview Thank You Email Template – 6+ Free Sample, Example, Format Download! Thank You Email After Job Interview – 9+ Free Sample, Example, Format Download! Thank You Email After Phone Interview – 6+ Free Sample, Example, Format Download! Interview Thank You Email Template – 6+ Free Word, Excel, PDF Format Download! Thank You Email After Teaching Interview – 6+ Free Word, Excel, PDF Format Download!